This run/walk is to honor a brave young woman named Roanne Cairel. She was just like any other young woman in her twenties; she loved to go out, had a ton of friends, loved to shop, enjoyed hanging out with family members and had the most contagious smile. She had a strong passion for dance and was involved with her high school’s color guard team and danced at her local community college. Only one thing set her apart from the average young woman–her strength. 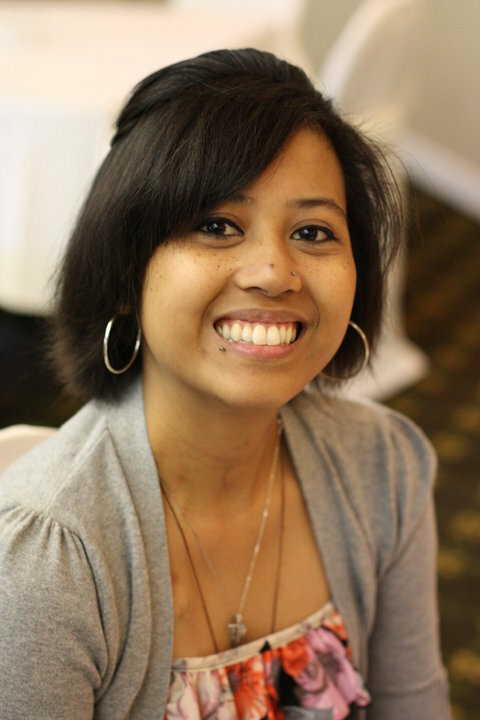 Roanne was diagnosed with stage 3 colon cancer at just 19 years old. She fought hard and beat it twice over the course of 2 ½ years, then in October 2009 the doctors found a stage 4 tumor in her ovaries. In May 2010, at 23 years old, she had a complete hysterectomy. Ever since then, she had been on and off chemo and in and out of the hospital, fighting for her life. Even though she refused to stop fighting, this evil disease would not yield, and it took her in the early morning of December 27, 2011 at just 24 years old. What drives her friends and family to put together a race in her honor is her amazing spirit and strength. While on chemo she continued to dance at her local community college right up until the week before her hysterectomy. There were countless times her friends and family would go and visit her in the hospital and she’d still be her humorous and quirky self even if she was tired and in pain. If you’d never met her before and didn’t know how sick she really was, you’d never guess because her attitude and spirit remained the same as any other young woman in her twenties. She had the biggest heart and the strongest determination to just live. She is an inspiration to so many people who knew her, or even just knew of her, simply for her will to live. Even when her body turned against her she became that much more determined to push through it and not give in. She was a warrior, and reminds us that we only have this one life and we must fight for it. She is truly and deeply missed by everyone who knew her. This is all so true, she gives those who have lost hope in themselves, hope again : ). She is truly an inspiration. I’ll never forget taking her up to the mountains on a curvy highway with my family on the same day as her chemo appt. She slept soundly until she sat straight up and said, “I’m going to throw up”. That curvy road does a lot of people in, but she never complained. The next day she got right up with the rest of us and went to Bear Valley to snow board for the day. Being active at 8500 ft does most people in and she was up there just a day after her chemo appt. Never complaining, staying strong and having a fun day on the mountain despite what she was going through. I never met anyone so strong and resilient. I proud to have known her and was glad I could be a part of her life.